Ahoy Mateys! 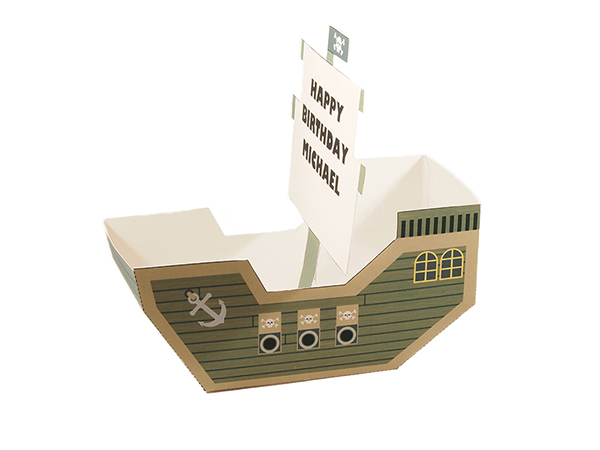 This pirate ship favor box is perfect for that fun pirate party. 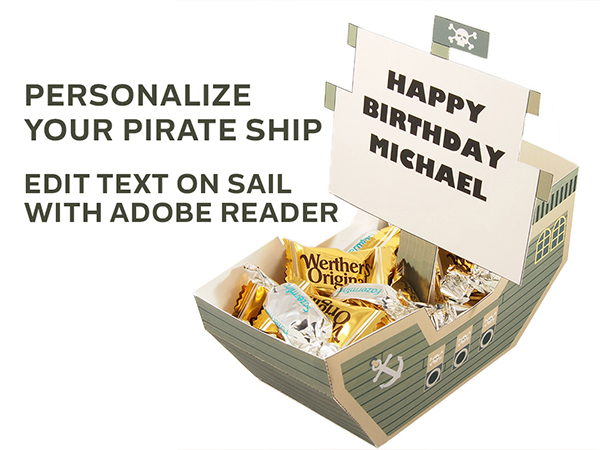 Easy to personalize; just change the message on the sail with the free software Adobe Reader. 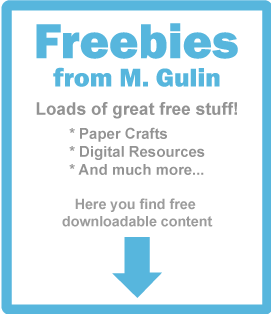 Easy to assemble, you can make a whole fleet of pirate ships and fill them with goodies of your choice. 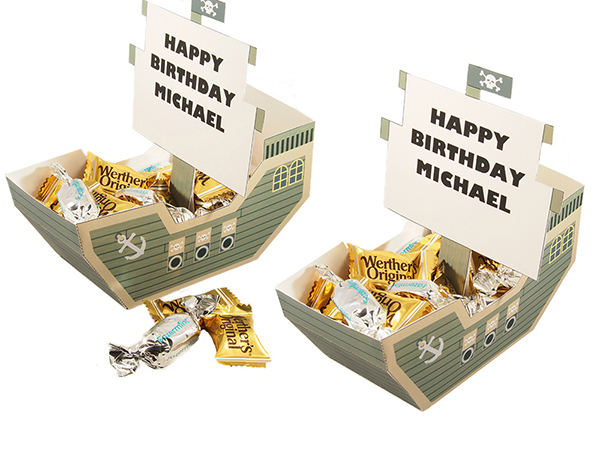 So hoist your anchor and get your pirate ship favor box. 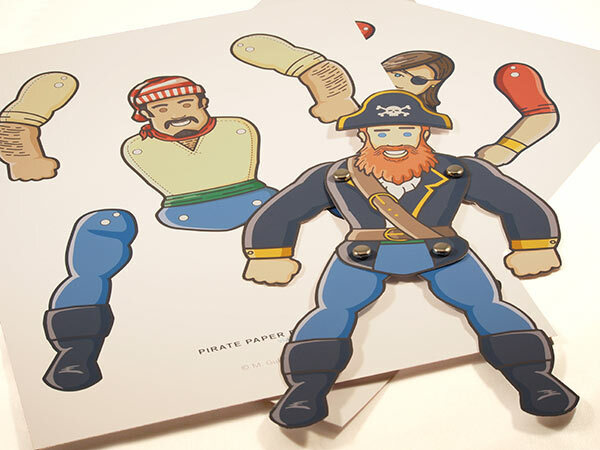 Want your guest to have a super fun time, you should absolutly check out these pirate puppets. 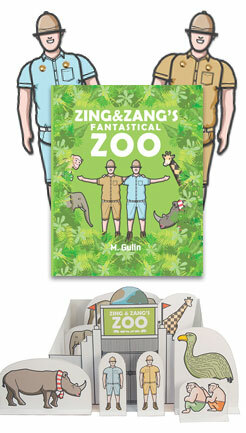 They will add a fun and creative activity to your party. Let your guest create their own pirate puppet. 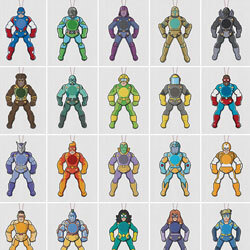 Coloring templates are also included.